Bude is an ideal base for a weekend break or a longer holiday. 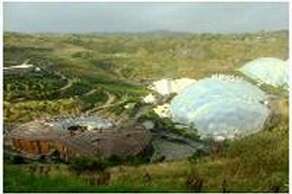 Not only does the immediate area have much to offer but also virtually anywhere in both Devon and Cornwall is within reach for a day trip, its surrounding area contain some of the most spectacular coastal scenery in the British Isles, much of it designated as an "Area of Outstanding Natural Beauty" with a variety of wildlife habitats. 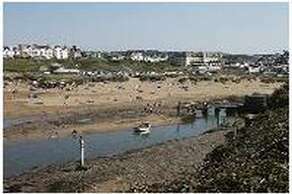 Bude is Cornwall's special unspoilt place "where coast meets countryside". The area has some of the best surfing beaches in the UK and was the site of the first life-saving club. 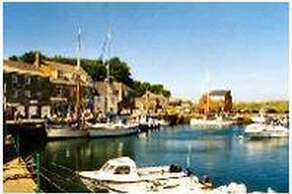 Add a spectacular heritage coastline, designated area of outstanding beauty, unique sea-lock and canal with easy disabled access, a friendly town with mostly locally owned shops, special events and festivals throughout the year, and you have all the ingredients for a great place to visit. 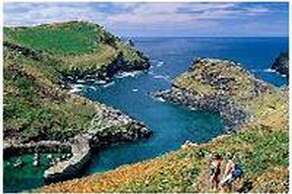 Boscastle is one of the few remaining unspoilt harbour villages in Cornwall. Designated an Area of Outstanding beauty, the National Trust own and care for the beautiful medieval harbour and surrounding coastline. Here too a lovely valley heads inland, a path follows a fast flowing burbling stream which leads to several hidden churches allowing you to discover the little known connection between North Cornwall and Thomas Hardy. 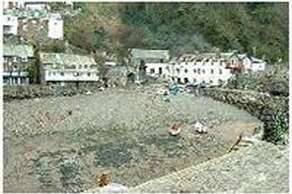 Clovelly set into a steep hillside, is one of the most famous villages in the world. The single cobbled high street winds its way down the hillside through traditional whitewashed cottages festooned with fuchsias and geraniums. 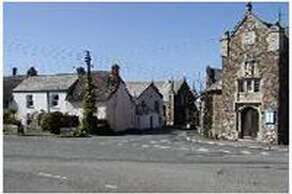 Unusually, the village is privately owned and has been by the same family since 1738. Their policy is to care for Clovelly and keep it in the style of the mid C19th. Traffic is banned from the high street with visitors parking at the top of the hill adjacent to the Visitor Centre. The high street drops through the 16th century cottages to a small harbour and for a small fee, a Land Rover service ferries visitors up and down the steep hill via a back road. Hartland Abbey The Abbey lies across a narrow, sheltered valley which winds its way to the spectacular Atlantic Coast. Within a designated 'Area of Outstanding Natural Beauty' visitors may wander around the beautiful gardens and grounds which lead to the rocky cove. Peacocks and guinea fowl roam at will, whilst donkeys and Black Welsh Mountain sheep graze the Old Deer Park. Andrew Davies's adaptation for the BBC of SENSE AND SENSIBILITY was filmed at Hartland Abbey. Launceston is the ancient capital of Cornwall. 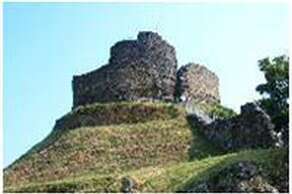 Dating back to Celtic times the whole of Launceston is steeped in history and is dominated by its Castle built by Brian de Bretagne the first Norman Earl of Cornwall in the 11th Century. Once the site of the Royal Mint and the only walled town in Cornwall.The Launceston Steam Railway is open to the public until the end of October.The 4 historic locomotives at Launceston were built in the 19th Century and were originally used to carry slate in North Wales. The village of Marhamchurch is a quiet and quaint village of thatched cob cottages. Near the end of the fifth century the Celtic Saint Marwen founded a hermitage as a monastic settlement and gave her name to the village. The 14th Century church of St Marwenna, with its magnificent old oak door and 'sanctuary knocker', can be found here. 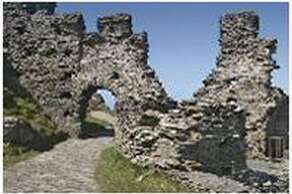 Tintagel is renowned for its association with the legend of King Arthur and his Knights of the Round Table. The magic of the association is captured particularly by the castle, which is reached by steps leading from the main land. Originally the Castle was attached to the main land but by erosion over the years a bridge had to be built. It is a hard climb to the top but well worth it. 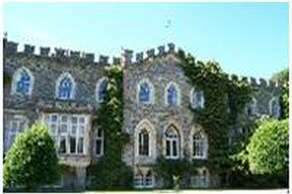 The Castle is maintained by English Heritage. For the visitor to Tintagel there are many attractions to see in the village apart from the cliffs area. 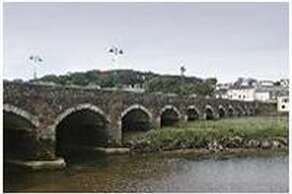 Wadebridge The town, which thrives alongside the ebb and flow of the River Camel offers a wide variety of things to see and do for all tastes and ages. Riverside walks, unique shopping, eating and drinking and indoor and outdoor leisure facilities. In Wadebridge you'll find there's a surprise around every corner. From the smallest shop to the biggest store, Wadebridge offer's shopping like it used to be - and with personal service to boot. Take a stroll down Molesworth Street or Town Quay. Now pedestrianised and traffic free. You can relax as you browse or just sit and watch the world go by in these boulevard style areas. 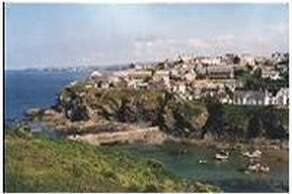 Port Isaac, was a busy coastal port from the Middle Ages to the mid 19th. century when it was an active harbour where cargoes like stone, coal, timber and pottery were loaded and unloaded. Most of the old centre of the village consists of 18th. and 19th. century cottages, many officially listed as of architectural or historic importance, along narrow alleys and 'opes' winding down steep hillsides. "Doc Martin" a British television comedy drama starring Martin Clunes as a doctor whose tactless manner causes mayhem in the small Cornish community was filmed in Port Isaac. Padstow is situated on the beautiful and rugged North Cornwall coast in the Camel estuary with its towering cliffs, wide sandy beaches, hidden coves and beautiful countryside. The town of Padstow is an ancient, but busy fishing port with picturesque pastel colourwashed and stone cottages nestling in the narrow streets leading down to the harbour and quays. In recent years it has become famous for it's Rick Stein restaurants.